On a beautiful clear sky Saturday in February, the Young Urbanists settled in Sheffield, South Yorkshire, the city of seven hills and five rivers to explore its unique story of urban regeneration. The day started with an introduction on the “psyche” of Sheffield by YU Mark Boyd. Sheffield’s identity is characterised by a proud working class history, derived from its production of steel, cutlery, food (including beer, liquorice, relish and possibly even mushy peas! ), as well as being the birthplace of football, all wrapped up in a village culture where countless generations of locals have maintained a strong sense of scepticism. Therefore, the challenge for Sheffield’s regeneration is one of forging a 21st century city with a local, place-based mentality. For a time in the 1950s and 1960s, Sheffield was also an urban exemplar in social housing, most notably Park Hill flats, making the city a popular destination for city officials from around Europe who wished to replicate its apparent successes. However, with deindustrialisation and the outsourcing of much of the city’s steelmaking, resulting in sharp economic decline, Sheffield has since had to slowly reinvent itself. In doing so, the city council have tried to remain sensitive to tradition while avoiding overindulging in novelty. It is worth noting that the city continues to face considerable socio economic challenges, including its stark geographical poverty and education divide between the east and the west. Rob Thompson AoU then introduced the city’s approach to preserving distinctiveness in urban regeneration. The hilly character of Sheffield gives the city a “connected sense of place by virtue of topography” with view corridors and local landmarks. Faced with the severe decline in the 1980’s and 1990’s, the city embarked on an ambitious masterplan strategy at the turn of the century, identifying seven key projects – dubbed the ‘magnificent seven’ – that together would help to revitalise the city. These included the regeneration of a large portion of the city centre with a number of key public buildings, such as the Millennium Galleries and Winter Gardens, together with a strong focus on public realm and the creation of a sequence of new and revitalised public spaces. 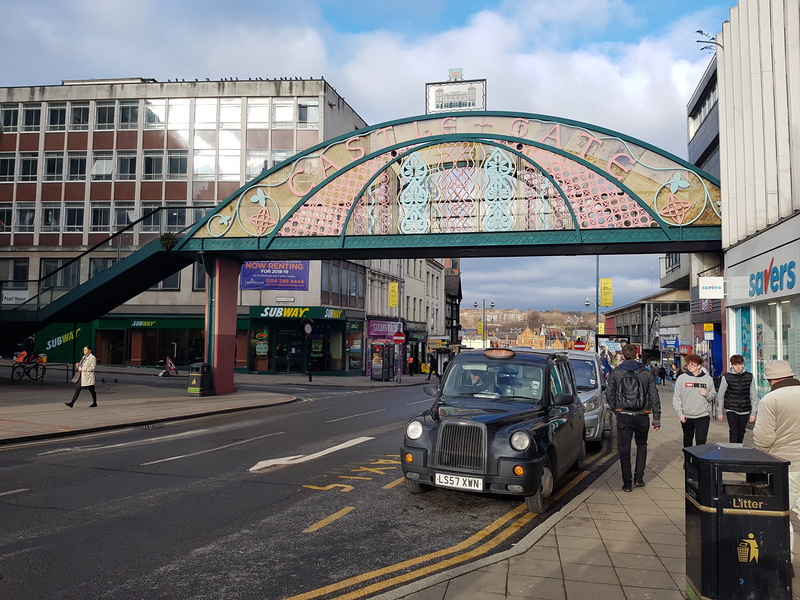 The city developed a strong spatial strategy along three main pedestrian corridors, beginning with the ‘Gold Route’, which extends between Sheffield Station and the University of Sheffield, connecting a series of streets and spaces that has transformed the experience of being within the city. This has been added to with a ‘Steel route’, running through the spine of the city centre, and a ‘Blue Route’ running along the rivers. A city that owes its very existence to water, its rivers being the source of power that supported craft and industry, Sheffield has recognised this and continued this strong interrelationship within its public squares as a unifying thread. Allied to this, art, craft and materials have also taken a key role in providing a unique approach to public realm that has seen a strong attention to detail, from the curvature of local benches to the sculptured details present within fountains, as seen in the Peace Gardens. Sheffield developed an Urban Design Compendium in 2004, which sought to set a benchmark for design quality across the city, with a focus on the city centre. The Compendium set out a strategic approach to regeneration, appraising the city centre in relation to an intervention scale – from a ‘conservation led approach’ at one end to ‘reinvention and reconfiguration’ at the other. The Compendium divided the city centre into a series of Quarters, related to their physical, social and environmental characteristics and developed a strategy and a set of design principles for each. The city also attracts talents with its two universities which have their own development masterplans. The seminar also examined regeneration at a more micro level, with architect Josh Sykes from practice Cartwright Pickard explaining how this translated into the projects the practice has been involved in within the Cultural Industries Quarter. 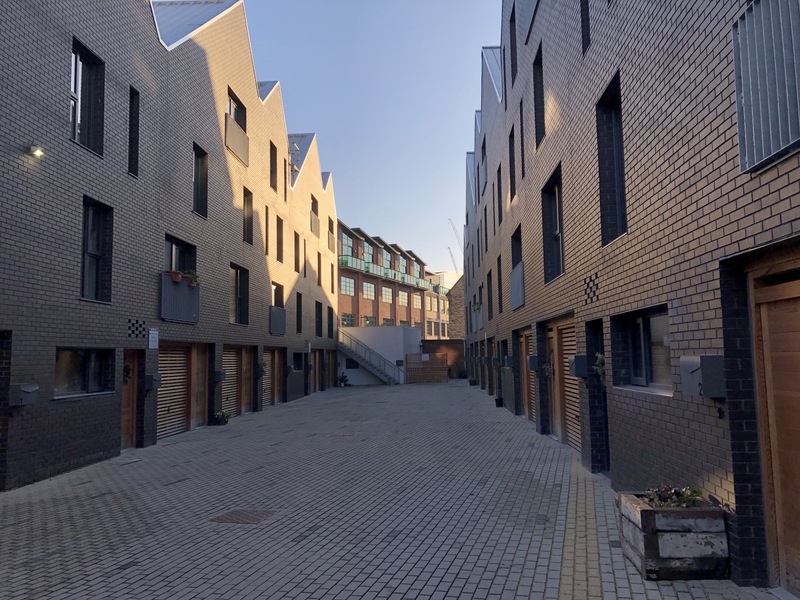 Rich with a range of distinctive former metal trades buildings, the practice developed proposals that has worked to retain and repurpose buildings, such as the award winning Albert Works, while creating a new modern typology for new development. Repurposed buildings such as Sellers Wheel, Challenge Works and Cutlery Works illustrate the versatility and relevance of heritage-led regeneration, with uses ranging from retail, office and residential. A walk took the group through the Cultural Industries Quarter, looking at a number of recently completed Cartwright Pickard schemes, before heading on to look at the recently completed Moor Market, the Heart of the City, Castlegate and on to Kelham Island and Neepsend. In Kelham Island, we first visited the Testone Factory and Peter & Paul, a creative communications agency where Peter Donohoe, co-director, explained the attractiveness of Sheffield and the opportunities that a place like Kelham Island represents. Ben McGarry, Chair of the Kelham Island and Neepsend Community Alliance then took us through a tour of the new housing developments. Ben explained how new developments need to be scrutinised so the Island does not become a victim of its own success, pushing out long-standing residents and businesses. We finished the day with a visit of Yellow Arch Studios, where director Andy Cook opened the doors to newly acquired properties allowing the music studios to expand. The continued success of Yellow Arch stems from their ability to establish connections with the local communities and the wider city. All in all this day-long seminar has been the opportunity to understand the soul of Sheffield, its strategic planning approach, and more granular network of actors which develop the city.